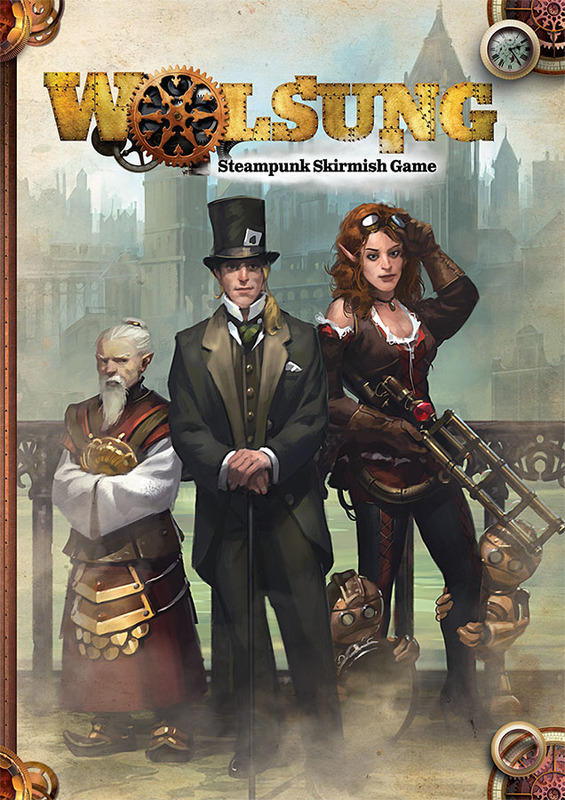 Wolsung is a Steam Pulp Fiction roleplaying game set in an alternative reality of the nineteenth century, during the peak of magical and technological industrial revolution. Wolsung roleplaying game allows you to play the role of extraordinary Ladies and Gentlemen from different social classes who are experiencing the adventures straight from comic books pages and action movies. There are are humans, elves, orcs, dwarves, and even golems wandering through the streets of cities . The driving force of the world is not only technology, but also magic. Wolsung roleplaying game already has a number of add-ons, English version is also available, and now we can also play a skirmish version. Thanks to Wolsung Steampunk Skirmish Game we may discover this amazing world in a brand new way. This title can by interesting not only for people who know the world of Wolsung, but can also attract new fans to this universe. This version should appeal to those interested in board games and war games such as Warhammer or Infinity. It should be noted that Wolsung Steampunk Skirmish Game, though in some ways, is very different from games such as Warhammer 40,000. To learn the rules and all the necessary information we do not need to read through hundreds of pages of descriptions, nor dp we have to spend the fortune to collect all the miniatures. Wolsung Steampunk Skirmish Game is a game that allows you to have fun without the long-term efforts of collecting and potential bankruptcy. 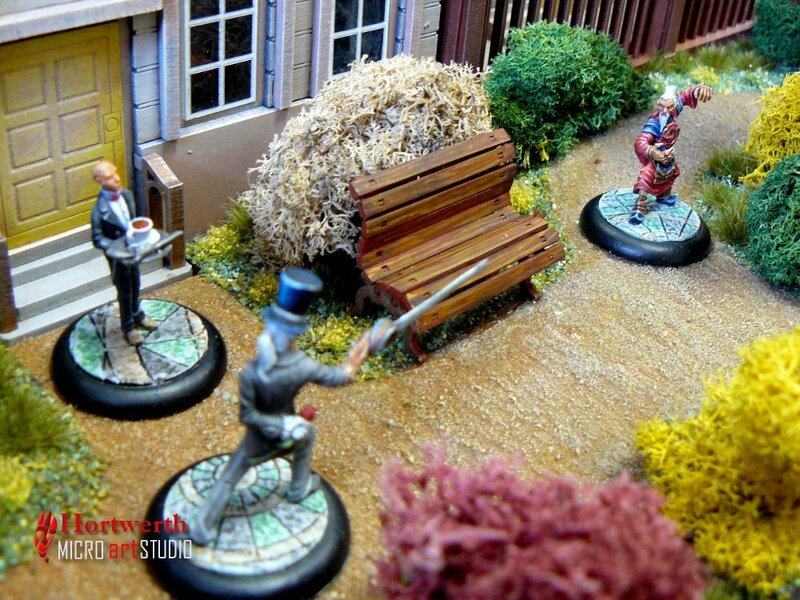 Wolsung Steampunk Skirmish Game is a joint production of Micro Art Studio and Kuźnia Gier. 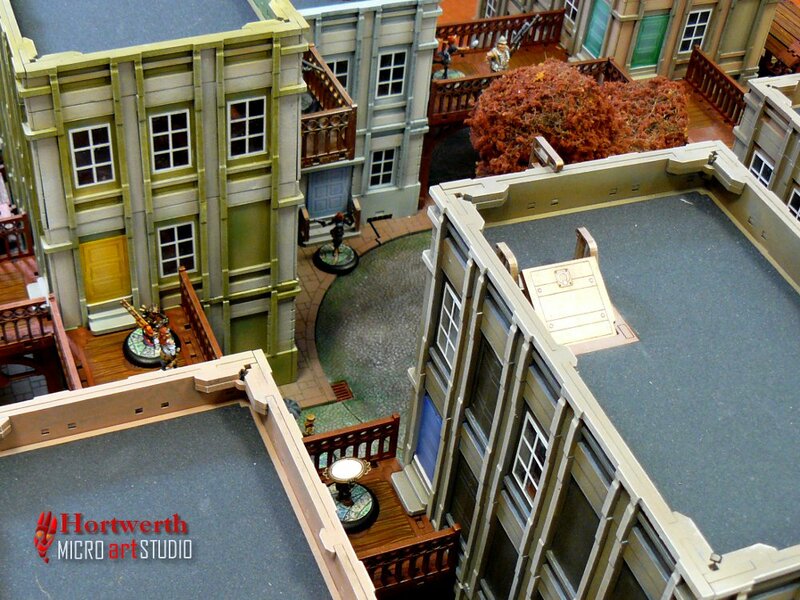 Micro Art Studio is an experienced manufacturer of accessories for wargames, so the quality of their work can be trusted. Wolsung rulebook is well printed and surprisingly short; this is not a bad thing but an advantage. Manuals for games such as Warhammer are hundreds of pages long, therefore those books are also quite expensive. In this case, Wolsung’s whole book is ‘only’ 128 pages, and only 20 pages cover the basic rules(including large print and drawings). This edition of the book is very high-quality, with its hard cover, thick paper, full colors, nice illustrations and great photos. The whole book is supposed to convey steampunk style. The Margins are decorated with drawings of cogs, discs, clocks and various astrological devices. The Backgrounds remind one of old paper, as they are yellowed and dirty in places. Graphics are well placed and easy to read, and the large font is easy on the eyes. Unfortunately, this last element can be seen both as an advantage and a disadvantage. While Playing wargames we often reach for the rulebook, so large print helps you to quickly find the information needed.. On the other hand, someone might argue that the font is large only to fill in the pages with as little content as possible. You can also find little inconsistencies with the fonts, but it is nothing major. As for rules, as mentioned earlier, they do not take up much space, nor they are too complicated. All you need to play is the rulebook, a few miniatures, a D6 dice and a deck of playing cards. Gameplay mechanics is based on dice throws where 4,5,6 is the result of success and to use abilities or special moves you have to pay with cards (which are assigned different value). As in most wargames, the miniatures are described by characteristics: the Actions, Move, Fight, Strength, Guns, Reflex and Wounds. What is also important is the race of the character, their size, and the club (more on that later). 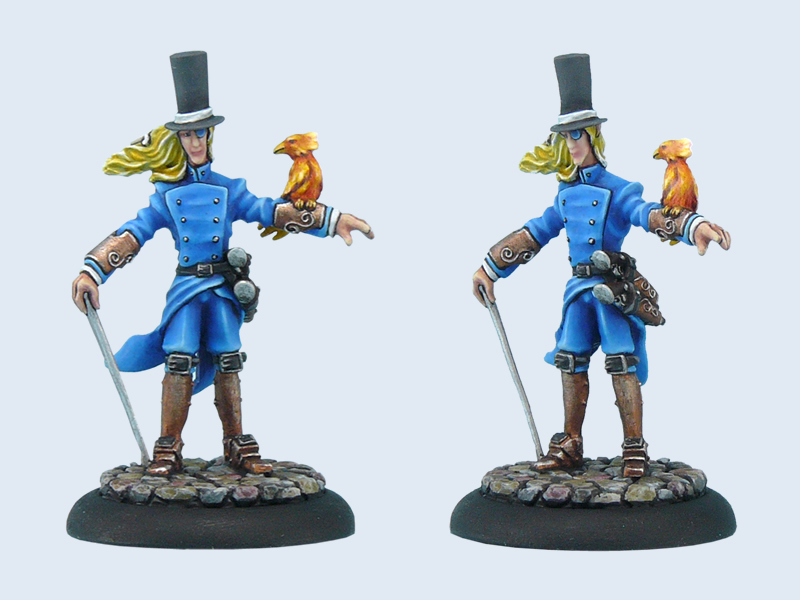 the distinction between Hero and Henchman models is also interesting.During a Wolsung Steampunk Skirmish game there is not only simple melee combat, blade weapons and firearms, but we can also use magic and special actions. Depending on the skills of the Hero (Henchmen are much weaker), we can take additional actions, cast a spell, jump, control a golem or take a heroic move. During the rounds of the game you can also affect the initiative of different players and activation sequence of others’ (and yours) miniatures. For all the additional actions you pay with cards in your hand (it is an interesting, quick and simple solution). It should by noted that playing particular roles is an important part in Wolsung Steampunk Skirmish Game environment. Heroes can climb, jump over obstacles, climb ladders, or jump across rooftops - like in real action movies. Authors encourage the creation of varied terrain for the game, and the best examples of this can be seen in the pictures in the Wolsung rulebook. 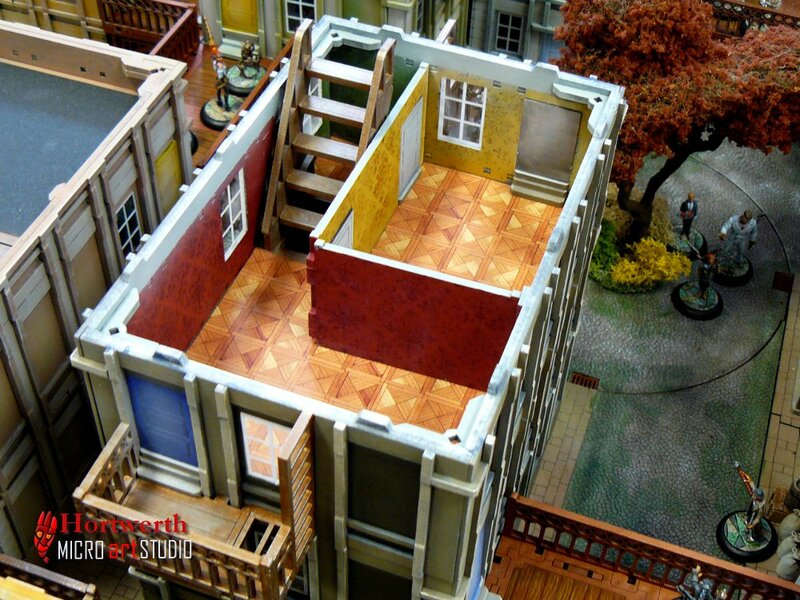 Of course, nothing stops us from creating our own city, buildings, streets and surroundings, but the Micro Art Studio offers a fairly wide range of excellent dioramas, which we can see in the pictures in the manual. What made the greatest impression on me was the Victorian/steampunk-styled buildings, a really wonderful work. In the part dedicated to the rules, Wolsung Steampunk Skirmish Game rulebook shows all the actions the Hero can perform in one place, Hero special rules and Universal rules.. Shortly after familiarizing ourselves with the main rules we can read aboutcharacter creation. 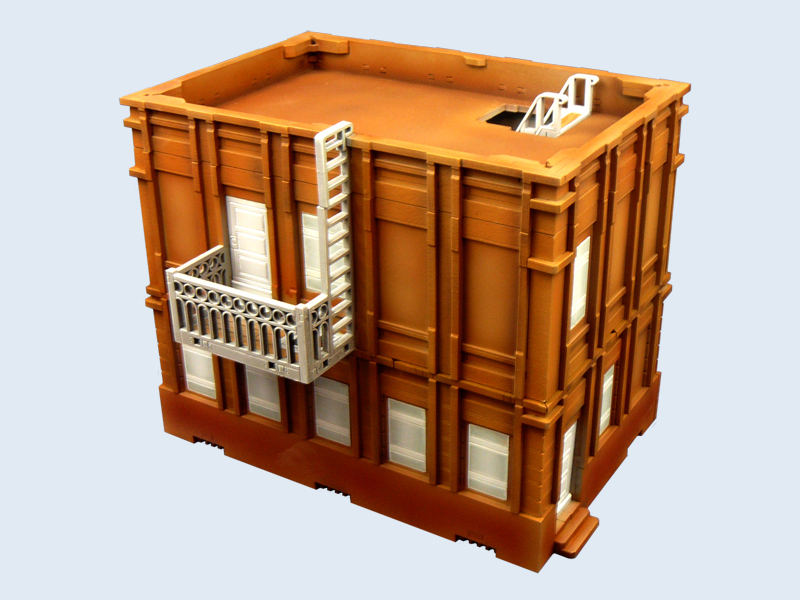 This is an excellent option for those wishing to create their own unique cHero. The rules are also simple and clear. Each race has its own characteristic features and a specific amount of money that can be spent on gadgets or henchmen. You can create your own Hero or select the existing characters (with the official miniatures), then decide to access one of the three Clubs. Depending on which faction you choose, you will get unique abilities and gadgets. You have to remember that some clubs have restrictions for specific races. 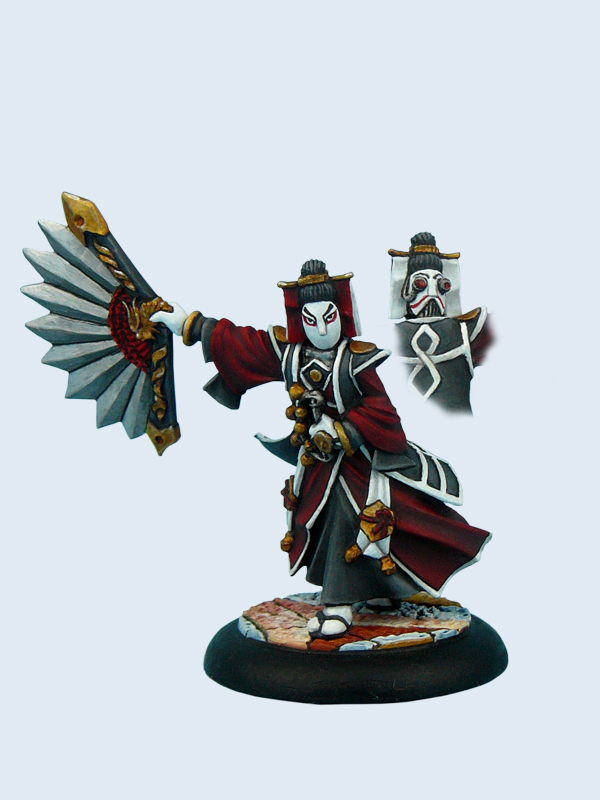 Clubs from which you can choose are the Ash and Oak Club, the Inventors Club and the Triad of Lotus Dragon. Each club is unique, but there is nothing standing in your way if you want to create your own club. The Ash and Oak Club is a place where you meet adventurous aristocracy. They are the self-appointed protectors of civilization, adventurers and explorers. They are rich, noble characters, who are fighting monsters and undead in their spare time, while trying to maintain their position as the most important of clubs. The Inventors are a cheerful bunch of more or less crazy scientists. To me, they seem a little like the characters from Fairy Tail anime and manga (guild members); if you know that work, you will find the Inventors club very interesting. There is constant bickering, explosions, weird events, laughs, fight and inventions. Inventors use magic and technology to create powerful gadgets and golems (very useful in a fight). This last fraction of is the Lotus Dragon Triad, composed in large part of the Orcs coming from the eastern lands. It is a criminal organization, specialising in close combat, speed and stealth. 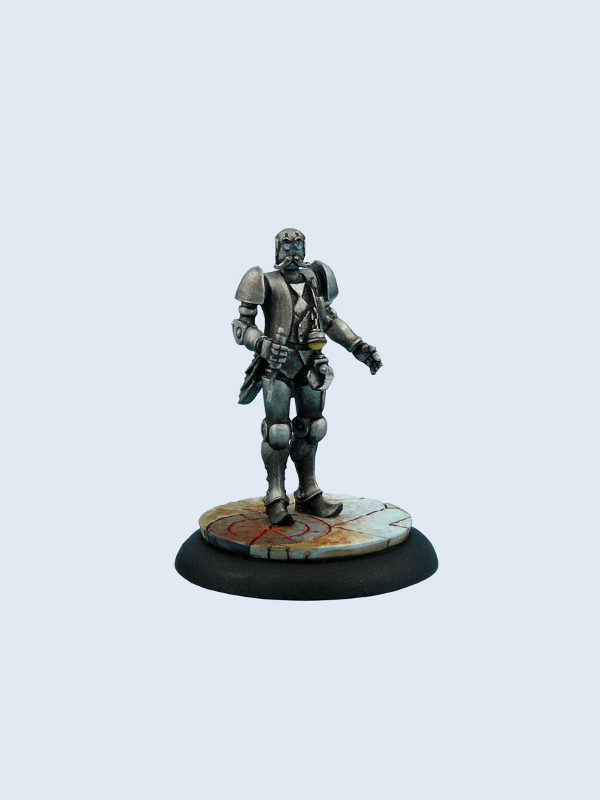 The description of the Club’s characteristic completes the main part of the WolsungSteampunk Skirmish Game rulebook. 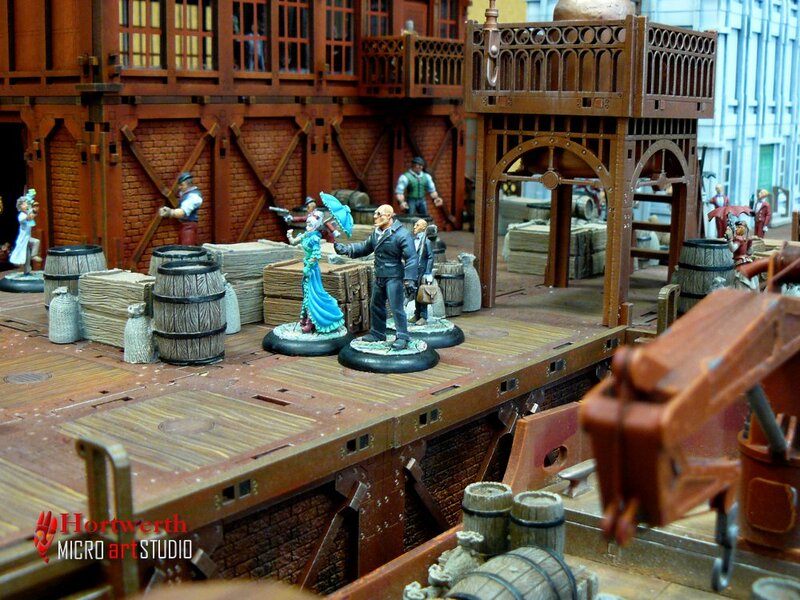 In the additional materials we can see the Heroes and Henchmen miniatures from each of the clubs, as well as different photos, buildings, terrain types and other products offered by Micro Art Studio. The authors also prepared materials to assist in the creation of scenarios for playing, so we do not get bored too quickly with the game. 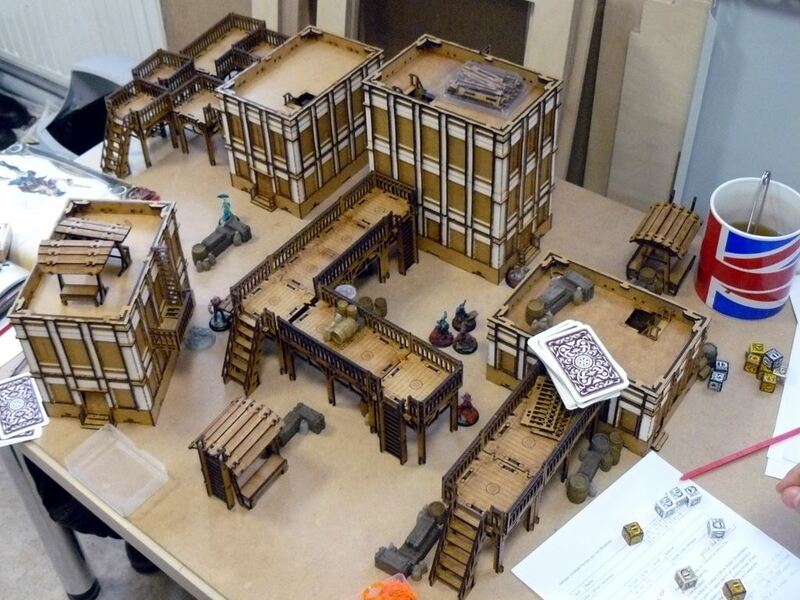 Wolsung Steampunk Skirmish Game is a very good production, not only for the experienced players, but for people starting their adventure with wargaming. Another advantage is the possibility to place the game in the world known from Wolsung roleplaying game. In this way, you can create an interesting ending of a campaign or a scenario. 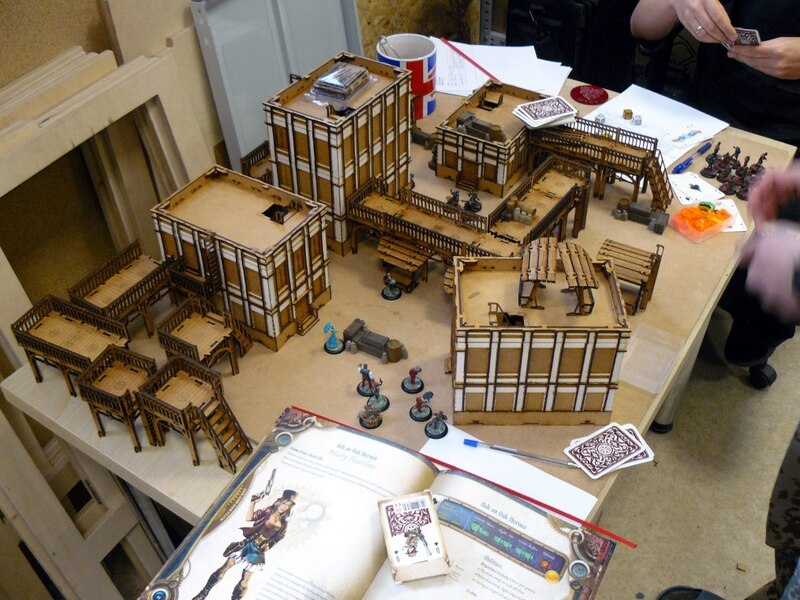 A team can play Wolsung roleplaying game, and an adventure can be completed with opponents fighting according to rules of Wolsung Steampunk Skirmish Game (thanks to its ability of creating our own Heroes). 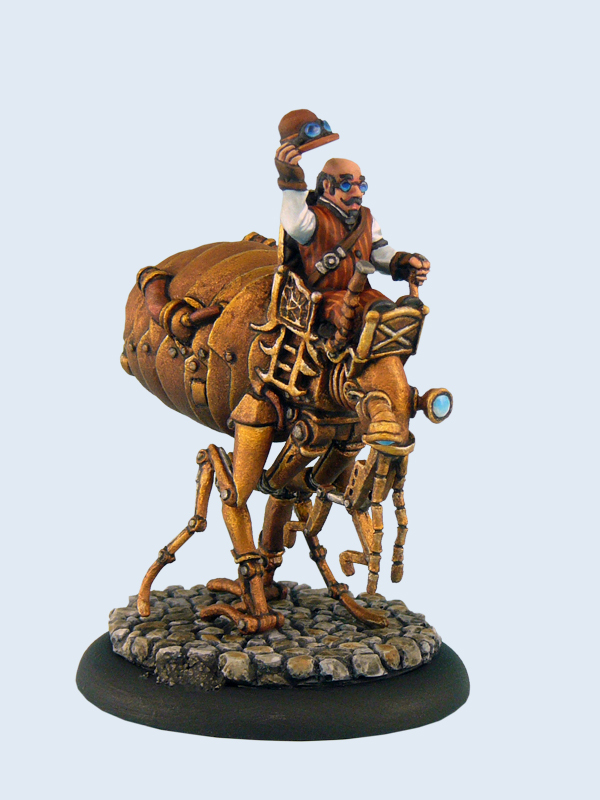 Anyway, there are a lot of miniatures which can by simply used in this steampunk world. 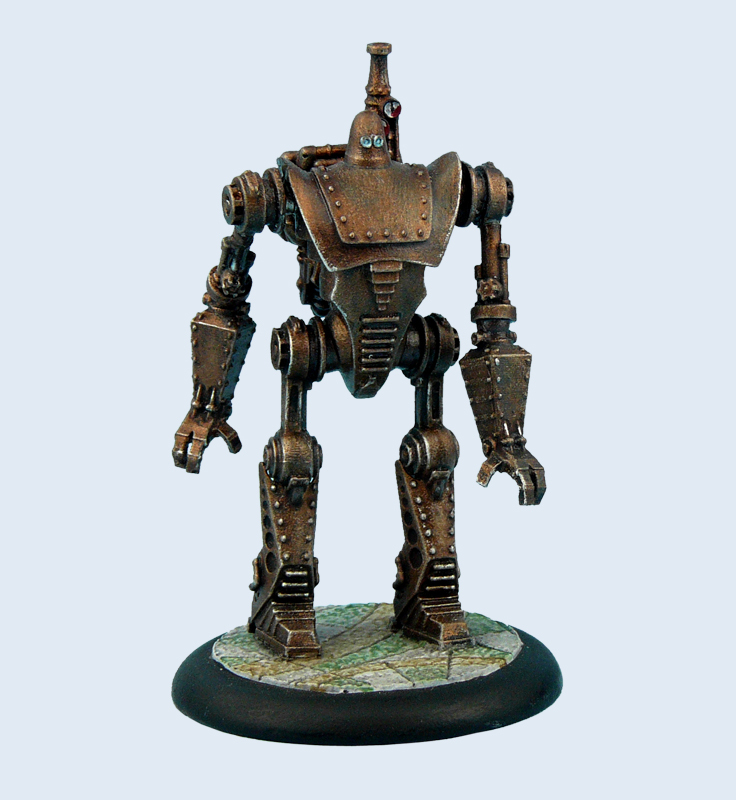 Go create your own, unique character, or transfer your character from the roleplaying game to the world of Wolsung Steampunk Skirmish Game. Trochę mało większych figurek, ale makiety, zwłaszcza budynki są boskie!